Come out and enjoy the crisp autumn air and beautiful colors of the leaves at an event in the Aurora, Illinois area. 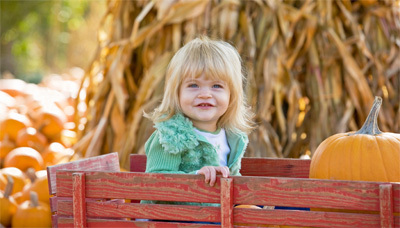 Get lost in a corn maze at Abbey Farms or take a hayride at Blackberry Farm. Don't forget to get your pumpkins! This season won't be here long so you won't want to miss out on all that the Aurora area has to offer. When the fun has ended for the day, come stay the night at the Hampton Inn & Suites Aurora, located just off I-88. This is the ideal place to stay! Start planning your trip to the Chicago, Naperville and Aurora area...book your perfect hotel stay today with Hampton Inn & Suites Aurora!